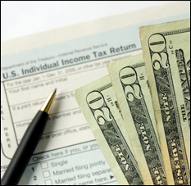 Count on Taylor Tax Service in Sunnyvale, California, to provide you with all-inclusive tax preparation services. Beverly prepares tax returns for individual, estate, trust, and small businesses. She usually gets them back within three- to five-days, depending on your tax return case. Please email or call Beverly to set a convenient appointment time for you. She takes tax returns on Saturdays and Sundays, and sends organizers to put essential documents together. After that, she reviews prior years’ tax returns, discusses the documents, and electronically files them with the IRS. When someone passes away, the estate comes for the final tax return that needs the recognition of the IRS. Beverly works with the trustee of the estate, as well as prepares and files the IRS-required tax returns. Please note that if you have a trust fund, you get taxed on the earnings whether the money goes out or stays in the trust. As many people start businesses without full knowledge on the associated taxing information, Beverly provides necessary consultations. She goes over business plans, operation types, and the number of people who’d be working with you. Moreover, she helps acquire person-to-person accounting services, and recommends QuickBooks™ for easier information documentation. Turn to Beverly of Taylor Tax Service to help you choose which business type category fits your situation the most. She advises whether you must start a partnership, corporation, Sub-S corporation, or LLC, if you have rental properties; and what kind of record keeping you need. Contact Beverly Taylor in Sunnyvale, California, to get more details on her wide-ranging tax preparation services.